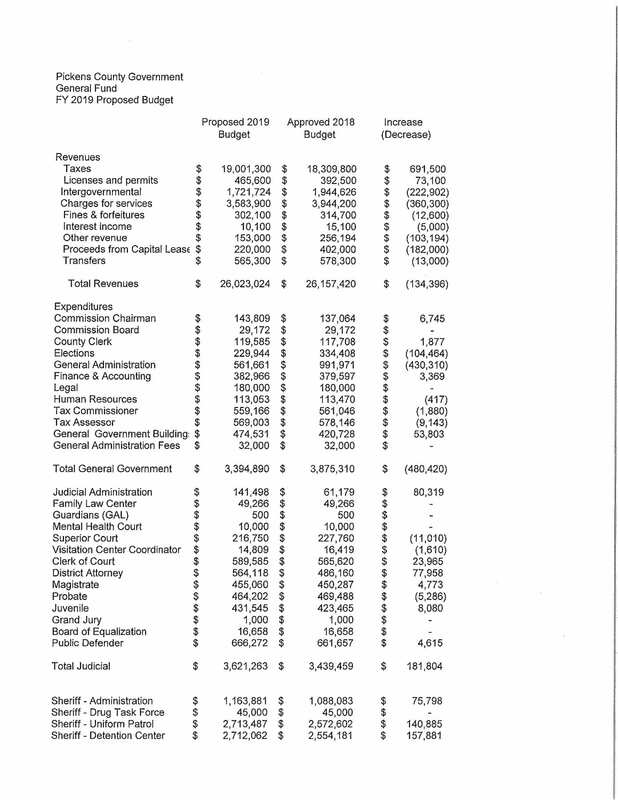 JASPER, Ga. – A full extra mil on taxes, that is what citizens could expect if no cuts are made to the over $1.1 million difference between the 2018 and 2019 budgets for the Sheriff’s office. 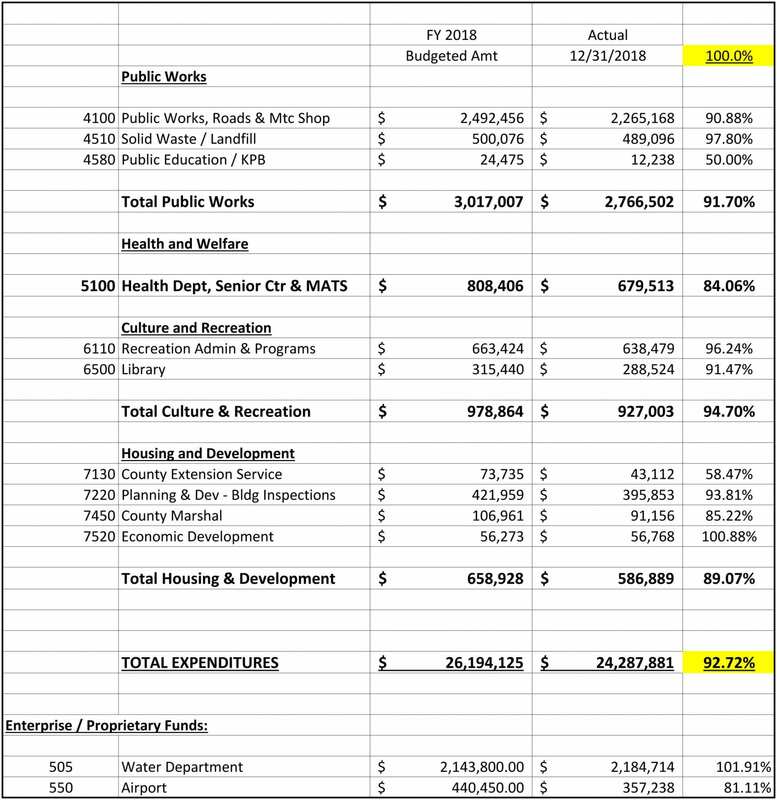 The difference accrues over a loss of revenue including an end to the housing inmates from Sandy Springs in the Pickens Detention Center as well as $448,043 increases in the Sheriff’s Administration, Uniform Patrol, Detention Center, and School Resource Officers areas alone. 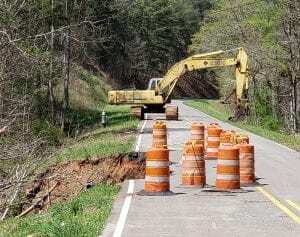 Although the budget already had at least one point ready to cut as it covered two contingencies involving either continuing overtime pay for certain staff or hiring new employees to spread the work among them. Craig noted there are 11 openings in the office that he is seeking to fill. 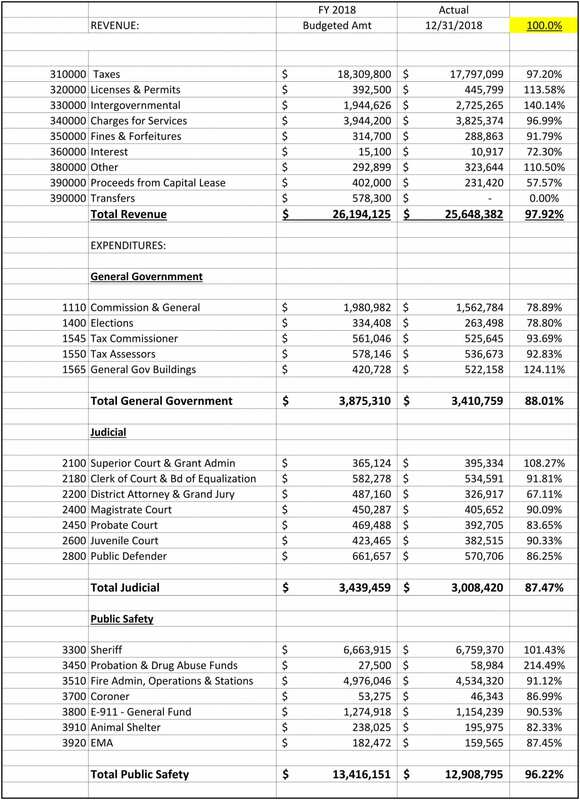 Like the other offices and departments, the Sheriff’s Office is seeking the 2.5% increase in salaries for employees. There are other increases such as repairs and maintenance in the office as Craig says some of the older cruisers are showing their age, with some vehicles dating back to 1996. He also noted increases to the demands on the office including 37,000 in call volume in this year alone. He said there hasn’t been a major increase in staffing in recent years despite doubling the call volume in the last decade. Plans for an additional School Resource Officer and upgrading computer systems are just a small part of the changes coming. But citizens need not wait until next year to see them beginning as December will see the office going live with the upgraded Caliber System. Next year will see the $117,965 payment for the system, though. As the Board of Commissioners are still working on the budgets, the Sheriff’s Office is working along with them to deeper analyze the office’s revenue and expenses. 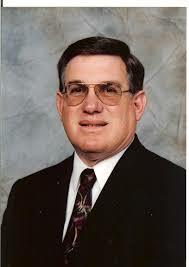 Chairman Jones did note that he believed the county could handle up to a $300,000 increase in the budget without needing to change the millage rate. 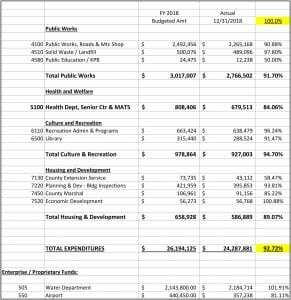 FYN reached out to Chairman Jones to ask when the last time a major increase like this occurred in the county’s budget. 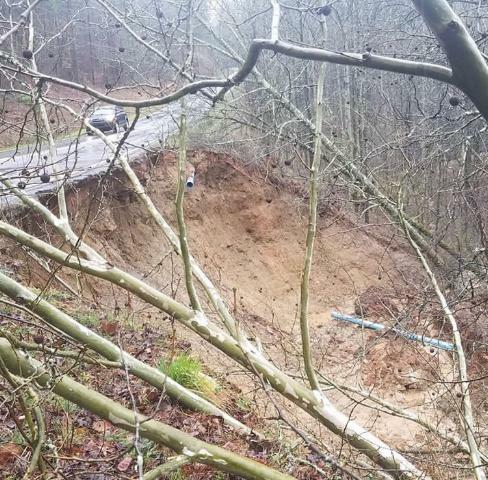 He replied saying that the county raised the Sheriff’s budget three years ago by about $700,000 to cover inadequate salaries. 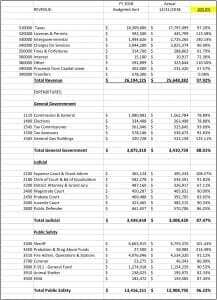 If approved as is, the Sherriff’s budget will reach $7,092,649. 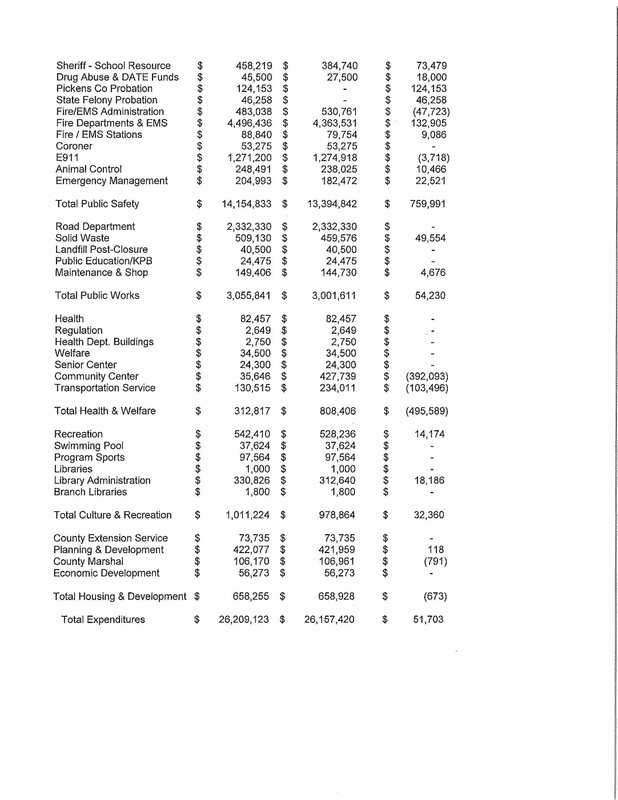 For comparison, Pickens’ northern neighbors, Gilmer County’s Sheriff’s Budget is proposed for 2019 to total $5,673,394, that’s $1,419,255 less for a county of similar size and population. 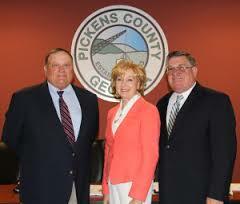 However, this is still early in the budget process for Pickens County. 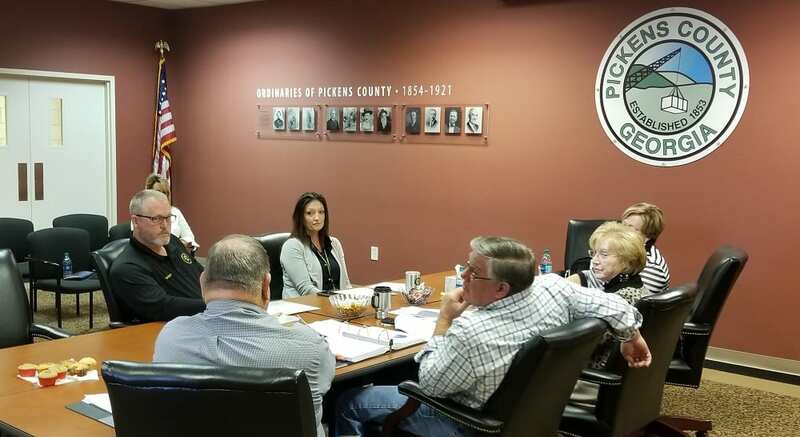 As both the Board of Commissioners and the Sheriff’s Office have agreed to continue working on the budget, citizens can continue to stay informed through the county’s work session, Thursday, November 1, and special called meetings that may arise in the coming month. One thing to note as talks continue and a final budget is set. 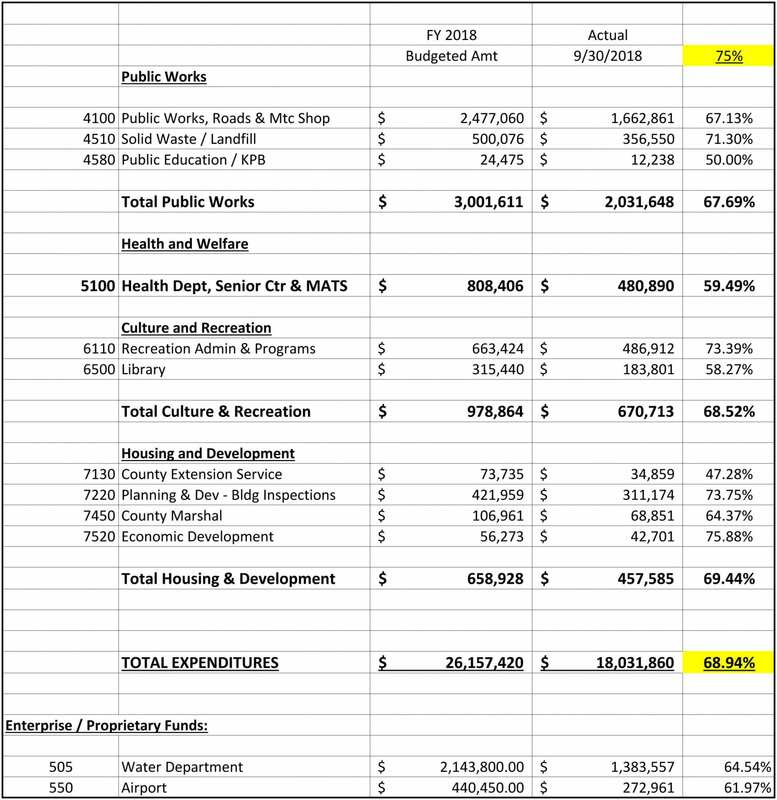 Though discussed and agreed to under the county budget meetings, it is ultimately the Sheriff’s budget and responsibility as the elected official in 2019.